What could be more fun than battling hordes of ravenous flesh eating zombies with your friends? 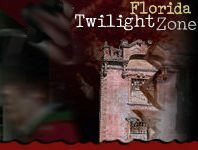 Florida's Zombie Hunts and Shootouts are perfect for the thrill seeking adrenaline rush junkies-and of course the Halloween lovers too! Get your ammo and suit up for a memorable night of zombie killing. Whether you're with a group of friends or by yourself-nothing can stop the horde from coming for you. Zombie Hunts and Shootouts are the best way to get those scares in before Halloween-whether it be through lazer tag or a good ol' fashion shootout-we're sure you'll have unforgettable night!